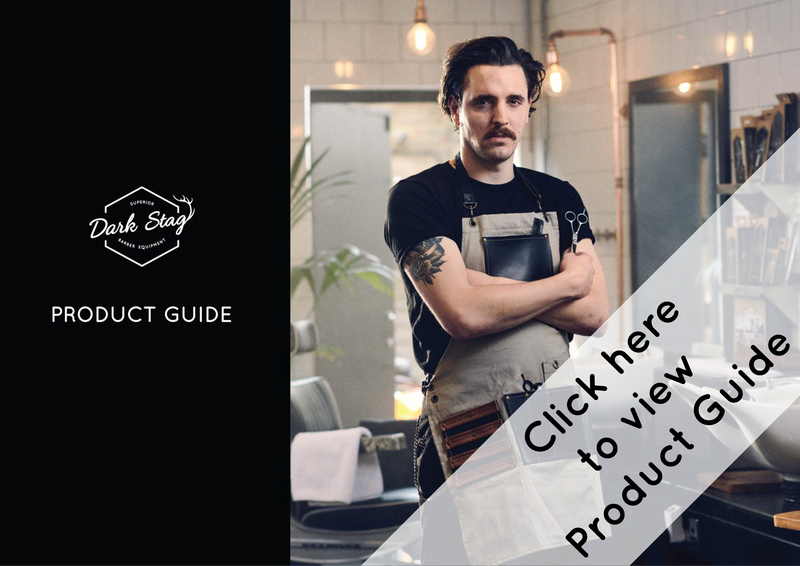 The Dark Stag mens manicure set includes a nail scissor, a real man’s fold away slimline nail clipper, tweezers and a cuticle pusher – all in stainless steel. The set is produced in durable stainless steel and stored in a smart wallet. Who knew you could make a nail clipper that was so clearly just for men! 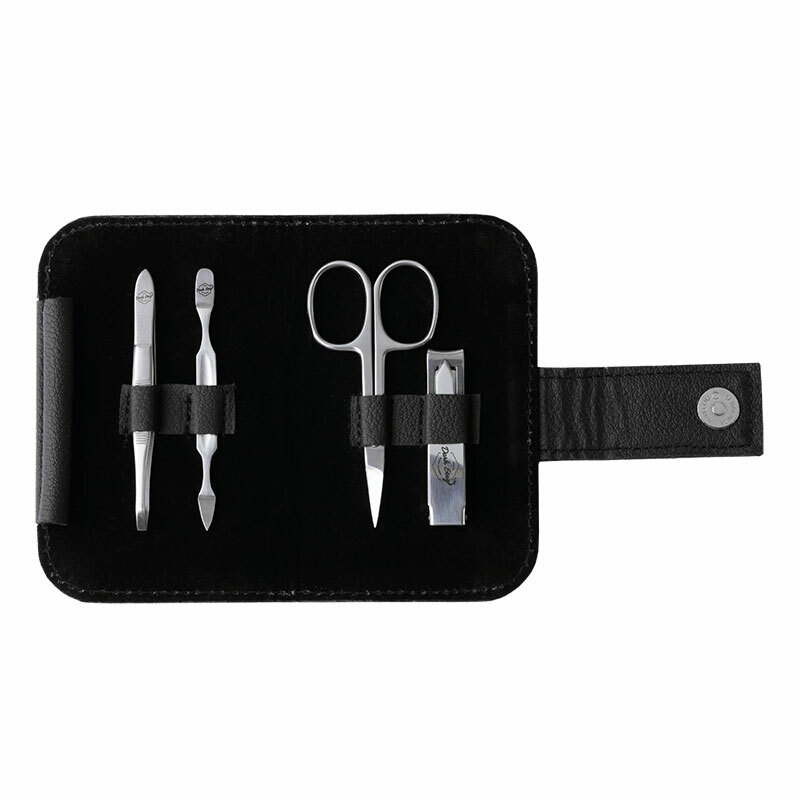 The Dark Stag Men’s Manicure Set is a stylish kit that includes a nail scissor, a fold away slimline nail clipper, nail scissors and a cuticle pusher. All produced in stainless steel and stored in a handy, smart wallet. This four piece set has all the tools a modern man needs to maintain their nails. Dark Stag is committed to manufacturing high quality, durable tools. Each grooming tool is carefully created through our forging, cutting and polishing process. The Dark Stag Men’s Manicure Set is produced in high quality, durable stainless steel. The manicure set is made with a classic yet contemporary feel. The fully lined case has a stitched interior and smooth wipeable exterior. A worthy travel companion, understated, neat and will keep you looking sharp. A useful grooming kit, this smart and stylish compact set includes everything he needs to keep his nails trimmed and buffed. The Dark Stag Men’s Manicure Set is a fantastic gift for the men in your life, from unkempt teenager to travelling to father to well groomed friend. The small size of this men’s manicure set makes it portable and lightweight, making it perfect for travel and no extra weight in your luggage! The small nail scissors are perfect for cleaning up any ragged edges or cutting with instead of the clipper. And we didn’t compromise the sharpness of the blade when making them so compact! The fold away slimline nail clipper is the perfect tool for neat and tidy nail cutting. The folding clipper is perfect for compact storage in or out of the case. And yet it somehow still manages to come across as clearly masculine. A great little tool! The cuticle pusher comes with two ends, for under the nail and above. Cutting out the middle man and maximising on tool efficiency. The tweezers are nice and simple, constructed with a sharp, slanted point, perfect for grasping stray and errant hairs and cleanly removing them. Overall the Dark Stag Men’s Manicure Set a great addition to any man’s grooming regime! If you are looking for just a nail clipper, check out the new Dark Stag Matte Black Nail Clipper or if you’re trying to find a decent tweezers, see our new Dark Stag Matte Black Tweezers!